1- There can be no marriage without marriage. 2- In a contract provisions are made for its breach the various kinds of dissolution by acts of parties or by operation of law. 3- Terms of marriage contract are within legal limits capable of being altered to suit individual case. In Islam a definite high social status to women is given after marriage and there are restrictions on unlimited polygamy and allowed controlled polygamy. 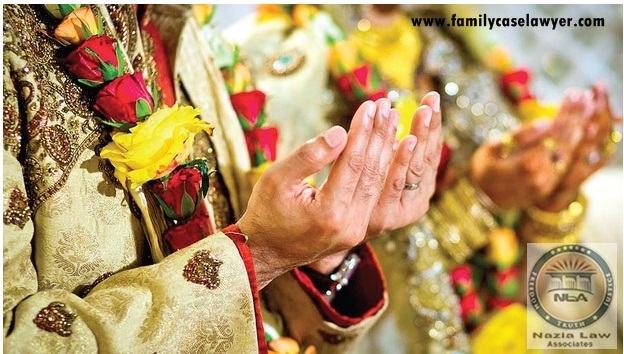 Definition of Marriage: – Court Marriage in Pakistan is religious legal contracts that regularize sexual relationship between men and women, Establishes the lineage of their progeny and created civil rights and obligations between husband and wife and the object of marriage is legalizing and protection of children. What is a void marriage : Void marriage is a marriage which has no legal status in the eye of Law and Islam and it is not recognized in Islam and court marriage laws in Pakistan. 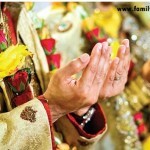 What is an irregular marriage: Irregular marriage is the one from which some condition of a valid marriage is missing.